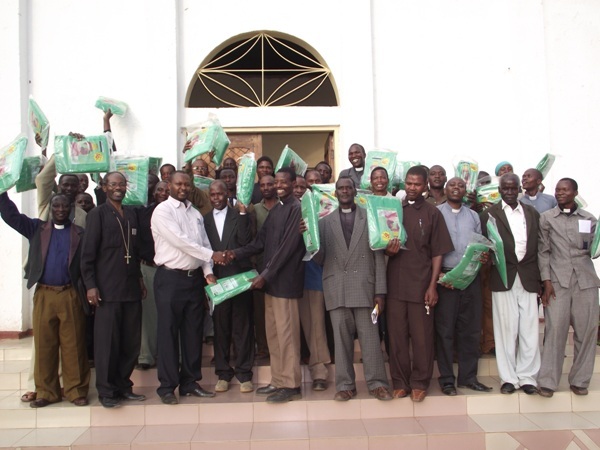 On February 19, 2011, Mr. Emmanuel Matinyi (third left in the picture, front row with white shirt), a member of St Luke's Pro-Cathedral Church in Tarime town donated over 30 bed nets to all clergy and catechists in the Diocese of Tarime. This was his personal response to a sermon by the Bishop of the Diocese last year in which he emphasized the need for Christians to help the diocese in its efforts to improve the living conditions for the clergy and catechists. As many would know, malaria is now expensive to treat and can kill both children and adults if the patient does not get proper treatment. Yet many of the clergy lead very young and small congregations able to pay as little as $2-3 a month as stipend. As a result the majority of clergy and catechists cannot afford bed nets that could protect them against malaria infecting mosquito. So the Bishop and the clergy and catechists thanked Mr. Matinyi for his understanding and generosity and support. Soon after chairing his first Synod of the Diocese, Bishop Mwita went to Geneva to attend the meeting of the Advisory Council of the Anglican Health Network of which he is member. The Council met from October 26-27, 2010. He returned to Tanzania on October 29, and joined his family in Dodoma to vote on the day of the General Election in Tanzania on October 31. 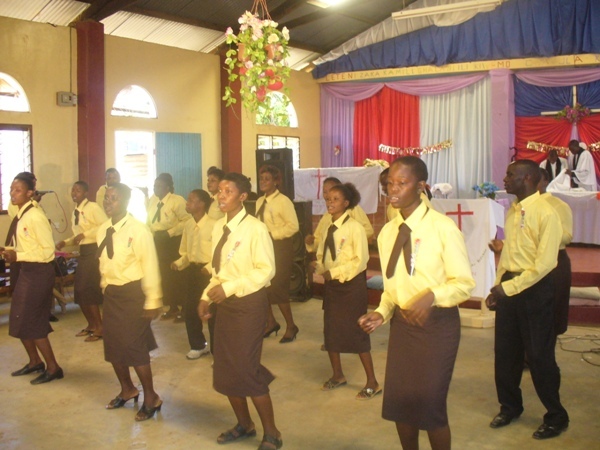 St John’s University of Tanzania, an Anglican national university held its first graduation in Dodoma on November 6, 2010. The Chancellor of the University, former Archbishop Donald Mtetemela officiated at the ceremony. Bishop Mwita and other trustees attended the historic occasion. As former General Secretary of the Anglican Church of Tanzania, Bishop Mwita was deeply involved in the planning and eventual establishment of St John’s University of Tanzania in Dodoma. He then became a member of the University Council and the Senate before becoming its Trustees after his election as the first Bishop of the Diocese of Tarime. Bishop Mwita could therefore not miss this historic occasion. 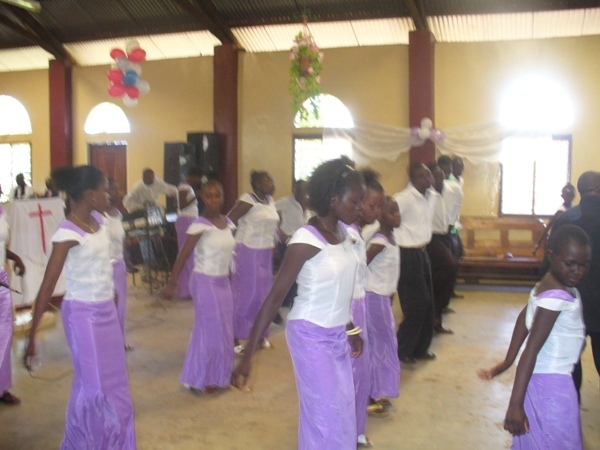 Highlights of the Synod included the Tarime Anglican Choir and St Luke's Youth Choir singing during the communion service.